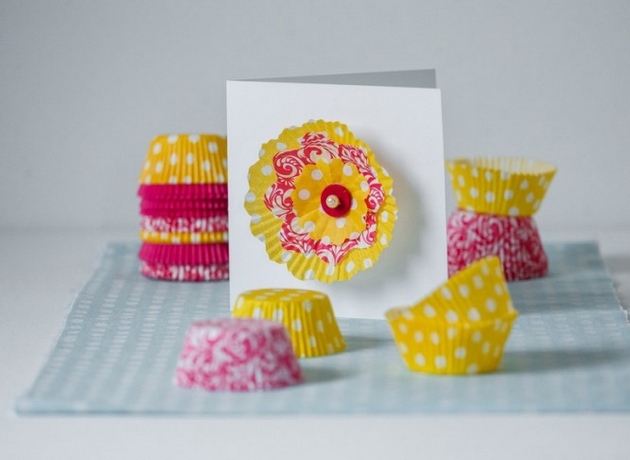 Have you ever thought of doing creativity with cupcake liners? Well here are some ideas regarding this DIY. 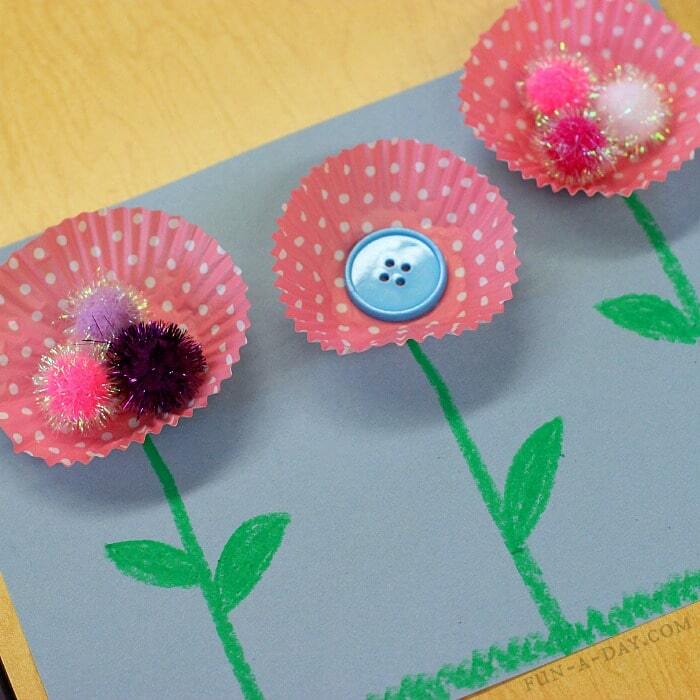 You can use your creative skills to make these flowers more interesting. These are the perfect gift for festivals, as the bunch of colorful flowers looks beautiful. You can also make a garland of alluring flowers or decorate it as the centerpiece for the table. So go ahead and design these flowers to glorify your home décor. Design flower petals by cutting the liner in an appropriate manner as shown in the image; glue wooden stick and buttons to make it graceful. 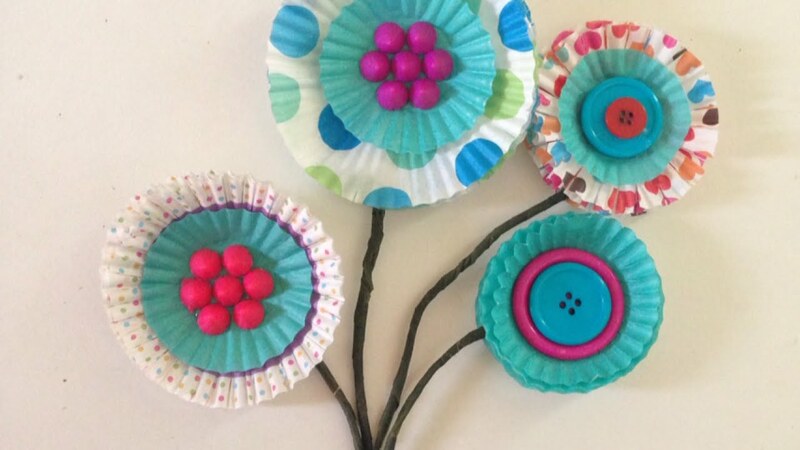 Involve your kids in this easy DIY, and they will love to make colorful flowers with cupcake liners; embellish the middle portion with decorative buttons to enhance its grace. Choose bright color liners to make flowers; you can also use contrast color liners to give a beautiful look. 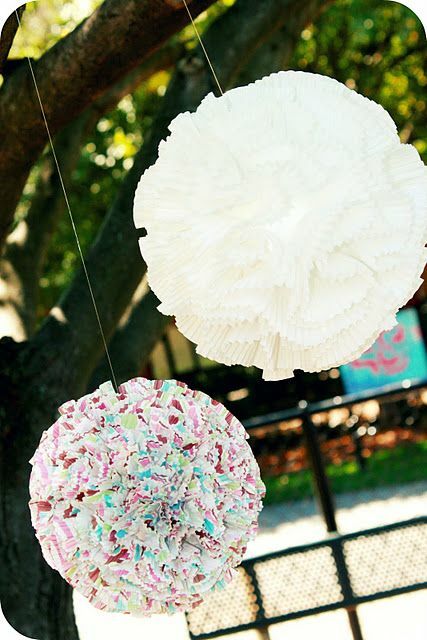 Make the stack of cupcake liners and embellish the middle portion with pom pom or button to give it a complete look. 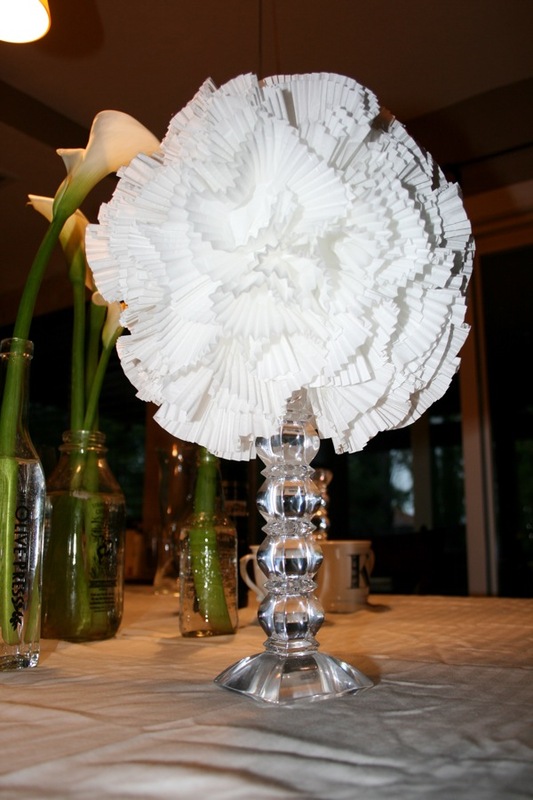 Try these beautiful paper flowers and arrange and tie them together with the help of ribbon. The flowers appear alluring in a glass vase. Choose colorful wrappers and do this project; the bright colors are pleasing and give the whimsical appearance to the room. 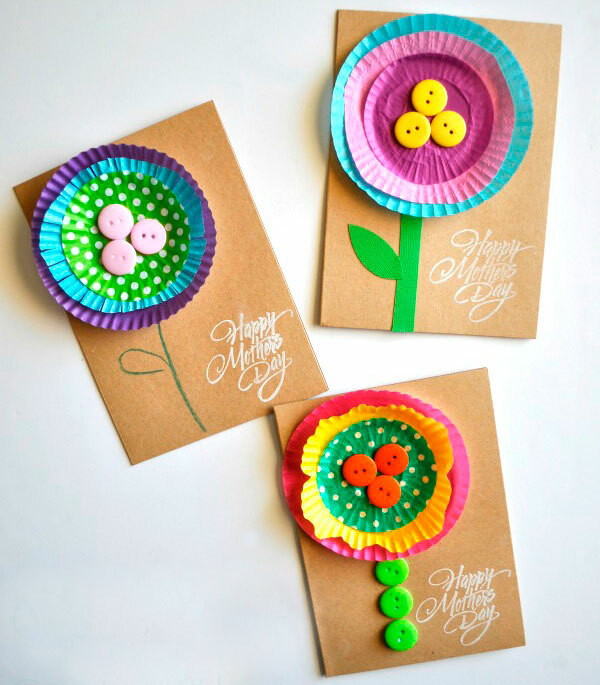 Give a handmade card with colorful lining flowers to your mother on her special day and make her happy with your creativity. Make a couple of flowers and embellish the center with decorative buttons or pom poms; attach them to the string, and your garland is ready to enhance the home décor. 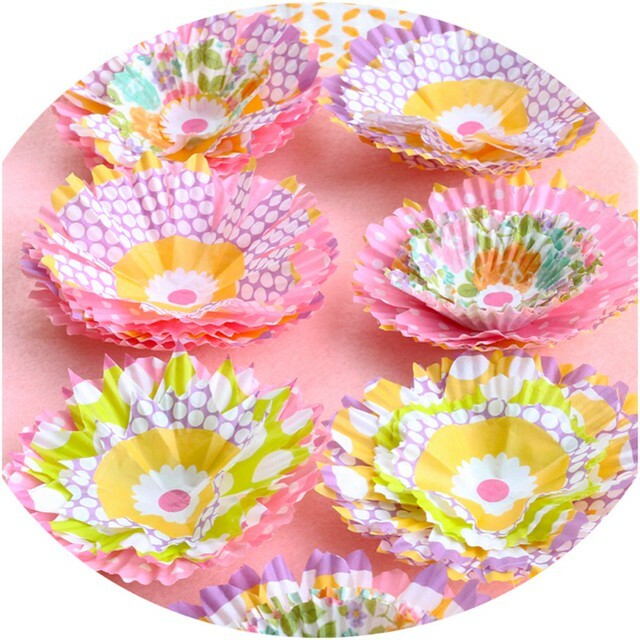 How-To Make Cupcake Liner Flowers? 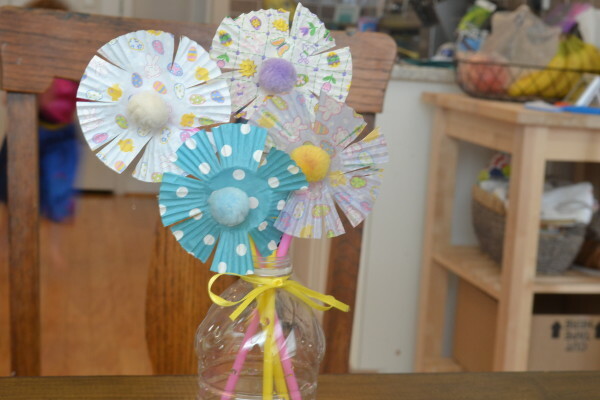 The link gives you a procedure to make this easy craft; make a couple of flowers and use them as a decorative accessory. 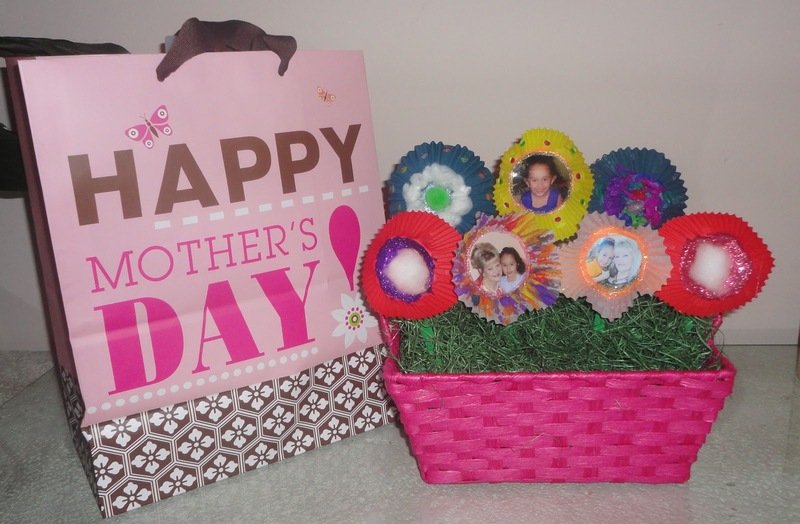 Give this lovely heartwarming gift to your mother and show affection with your creative efforts. This is the best way to celebrate Mother’s day. Give a unique and mesmerizing look to the cake with a handmade flower, and it looks visually appealing. Decorate the living room of your sweet home with blooming flowers; arrange them in a vase or make a garland. Show your creative skills to your friends and make them spellbound with your creativity. This DIY is appropriate for kids, and they can do it easily; however, this activity needs adult supervision. These alluring balls are easy to make and give a mesmerizing look to the room; you can use them in the balcony or living room. Place lollipop in the middle of the flower and give it a different look; make a couple of them and donate them in an orphanage. The red color flower is visually appealing; attach the pipe to it, and you can hold it easily. Gift it to your beloved on a special day. Give handmade cards to your friends or family member on birthdays or festivals, and they are surely going to love this creativity. 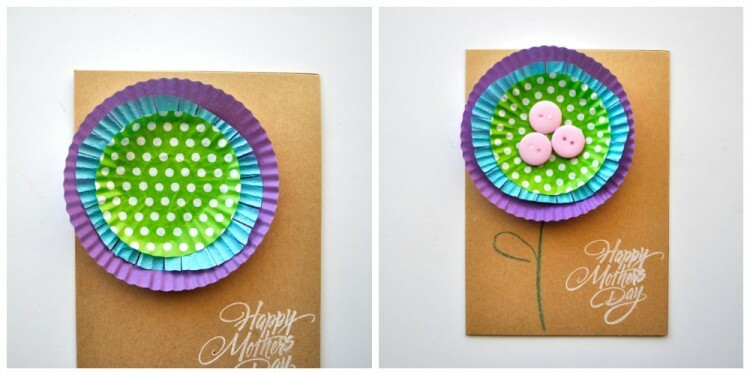 Handmade cards are always special; so give a unique look to the card with blooming cupcake liner flowers and give it to your dear ones as a token of love. You can decorate the flowers as a centerpiece for the table; the white color flower is pleasing to the eyes. 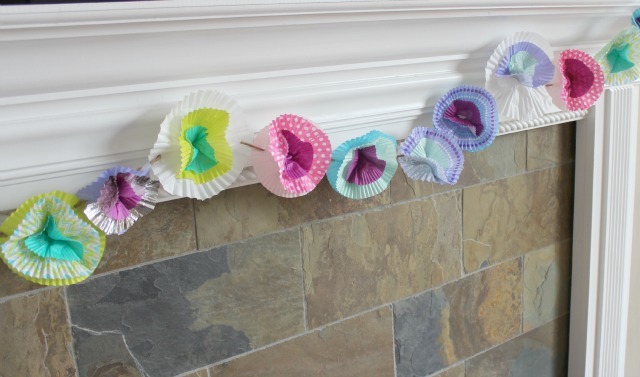 If you are a DIY enthusiast then try this lovely flower pattern; give it to the kids and become their favorite. Make a couple of cupcake liner flowers and arrange them in the form of garland; place colorful light in the middle of each flower, and it is ready to use. Make your Valentine’s Day more special with lovely handcraft; you can make a bunch of red color flowers and give it to your Valentine. Use these decorative flower lights to light up the indoor areas; this is best for festive decoration. These handmade flowers are perfect gifting option for Valentine’s Day; your efforts are the token of love for your loved ones. 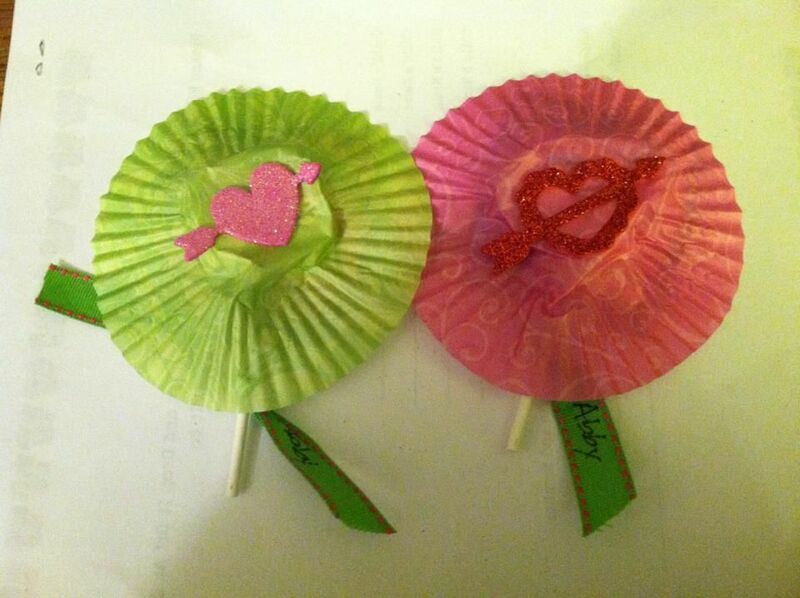 The given link gives the systematic procedure to make this easy craft. 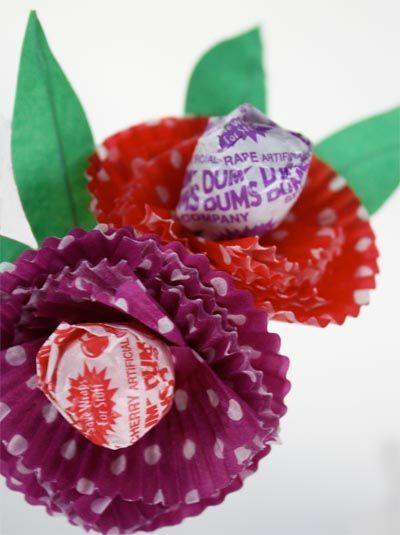 How to Make Flowers from Cupcake Wrappers? Make sure to follow the directions given in the video carefully to do this task. 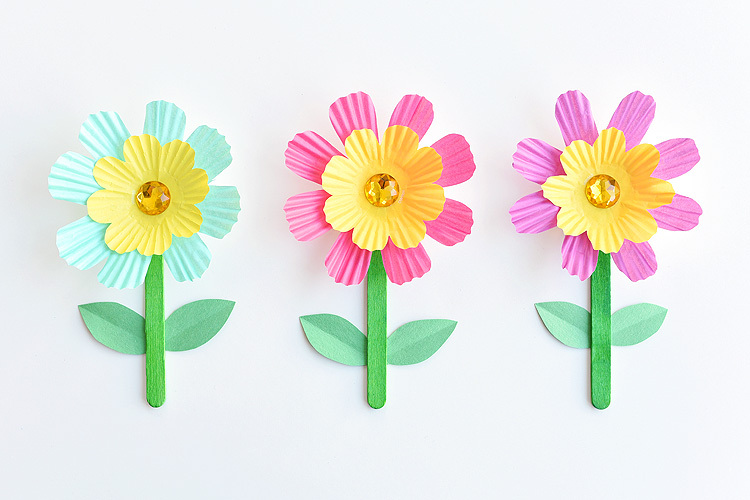 How to Make Cupcake Liner Flowers? The video gives a systematic procedure to do this task; you can choose colorful liners for this DIY. 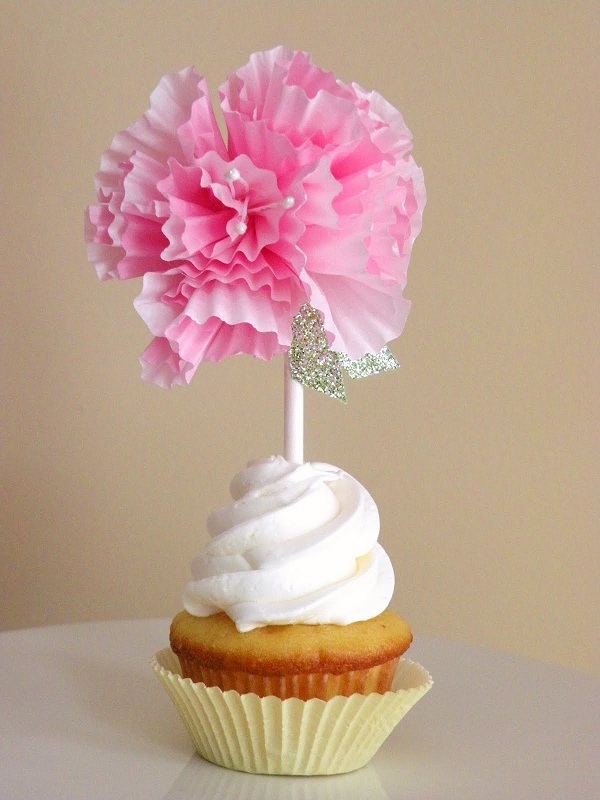 How to Light up Your Cupcake Liner Flower? Follow the given link, and you can do this project effortlessly.